Hewlett-Packard said Tuesday that it has written down $8.8 billion of the value of Autonomy, the British software company it bought last year, after discovering that Autonomy misrepresented its finances. HP bought Autonomy, which specializes in database search and other enterprise software technologies, for more than $11 billion in cash a year ago. HP said it had uncovered "serious accounting improprieties" at the company, including "outright misrepresentations" that occurred before HP acquired the company. Shares of HP (HPQ) plunged by more than 13% in morning trading. The stock has lost nearly half of its value this year. The Autonomy grab was widely criticized by many technology analysts as too expensive, given that the software company had never made more than $1 billion in annual revenue. HP paid a 58% premium over Autonomy's share price at the time. Former CEO Leo Apotheker was at HP's helm when the Autonomy purchase was announced, but current CEO Meg Whitman supported the deal, saying in her first conference call with analysts after being named CEO last year that she was "really excited" about Autonomy's future with HP. Whitman said during a conference call Tuesday morning that HP discovered the accounting fraud after a senior Autonomy manager came forward after Autonomy co-founder Mike Lynch left the company in May. HP hired a third-party to review Autonomy's finances, which confirmed the company had lied not only about its history but also its prospects. Facing analyst questions about who should be held responsible for the screw-up, Whitman said Apotheker and Shane Robison, HP's former head of strategy, are to blame, and she noted that they are both gone. Whitman said that the board -- of which she was a part at the time of the purchase -- "feels terribly" about missing Autonomy's accounting fraud. But she said the purchase was thoroughly audited by consulting giant Deloitte, which itself was audited by KPMG -- and neither of those companies found anything suspicious about the deal. Whitman also noted that HP has taken action to ensure that something like the Autonomy snafu never happens again. She said the teams responsible for due diligence had previously reported to HP's chief strategy officer -- not the chief financial officer, as is the standard across most major companies. Whitman said one of her first actions when she took over at HP was to place the mergers and acquisitions and due diligence teams under the CFO's wing. Whitman added that HP has filed a complaint to the U.S. Securities and Exchange Commission as well as British law enforcement, and she said the company hopes those agencies pursue criminal charges. The tech giant also said it intends to file civil charges against Autonomy's past leadership to recoup shareholders' losses. Whitman said she expects the legal process to be a "multi-year journey." She has used the same phrase to describe HP's overall turnaround effort. Due to the Autonomy write-down, HP reported a substantial quarterly loss. The Palo Alto, Calif.-based company said its net loss for its fiscal fourth quarter, which ended Oct. 31, was $6.9 billion. It was the second consecutive quarter of multi-billion dollar losses for HP. In the third quarter, HP took a $10.8 billion restructuring charge, after it cut 27,000 jobs and wrote down the value of the Compaq brand. HP merged with Compaq in 2002. 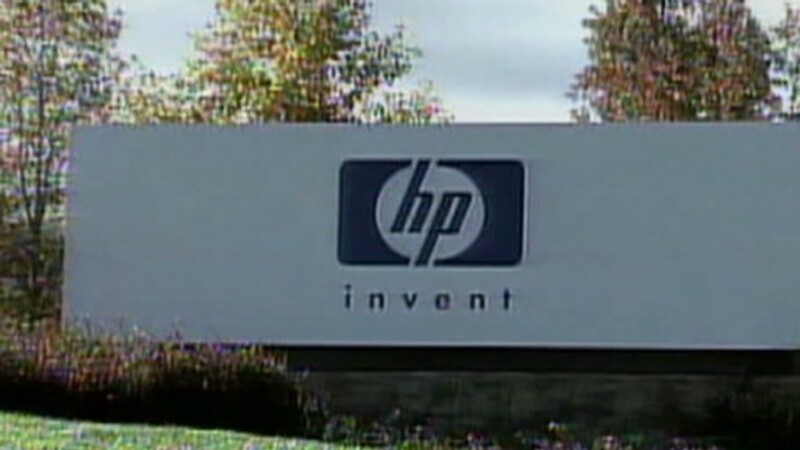 Excluding the write-down and $400 million of other one-time charges, HP said it earned $1.16 per share. Analysts polled by Thomson Reuters, who typically exclude one-time items from their estimates, forecast earnings of $1.14 per share. Sales fell 7% to $30 billion, missing analysts' forecasts of $30.4 billion. Making matters worse, HP's outlook for the current quarter badly missed analysts' estimates. The company said it expected earnings per share in the range of 68 cents to 71 cents, far below Wall Street's median estimate of 85 cents. Curiously, HP reaffirmed its full-year earnings-per-share outlook of between $3.40 and $3.60, which is in line with analysts' estimates. It was a tough quarter across the board for HP. Sales of PCs to consumers fell by 16%. Sales in HP's cash cow printing unit fell by 5%. HP's services business sales declined by 6%, and server revenues sank by 9%. Only sales in HP's software unit -- the company's smallest -- rose. They were up 14%. Last week, HP's PC rival Dell (DELL) announced substantial drops in sales and profit in its past quarter. The company missed Wall Street's forecasts, despite a low bar set by analysts. Both companies have struggled to shift to the changing trends in technology. Neither HP nor Dell has been able to make major inroads in the mobile market, which is dominated by the likes of Apple (AAPL) and Android developer Google (GOOG).